I haven't posted for a while. 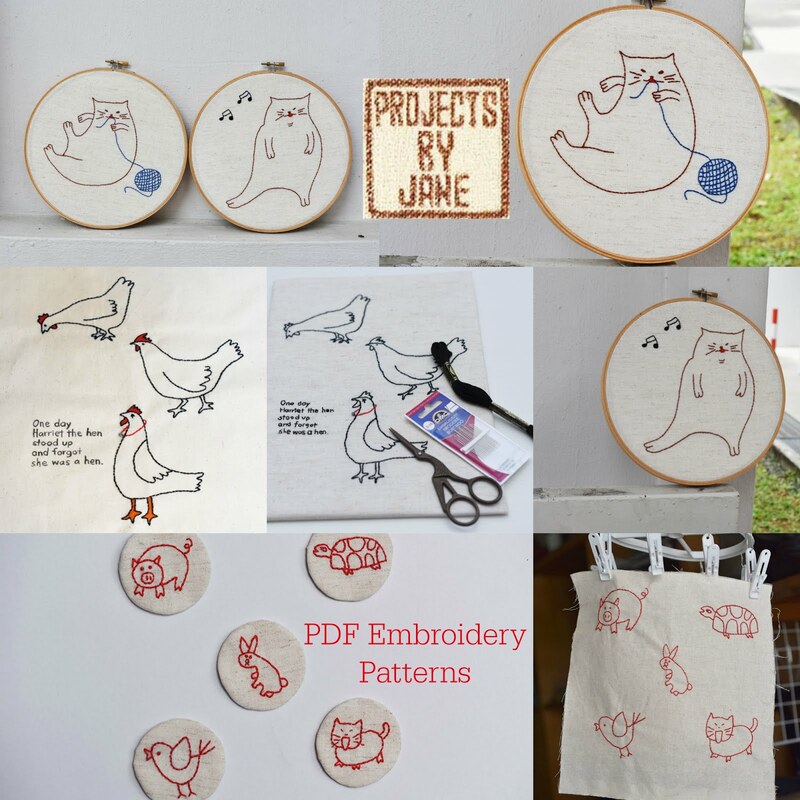 Usually after a craft market sale, I would give myself a 1 or 2 day break from sewing. This inevitably turns into a 1 week break. Yep, the same thing happened again. It's not that I need such a long break. It's just that I can't get back into my sewing mode. However much I tried, I just wasn't in the mood to make anything. Me hubs kept saying to me: I don't see you sewing. You may not know this but me hubs nag is worse than his bite. To avoid listening to his naggs, I pretended to sew. Yes, I'm so pathetic. I would sit at my sewing table with my fabric laid out nicely. And I would do something else like read. Once he's gone to work, I would stop pretending to sew and watch my Law and Order Season 17. This went on for a week. Funnily enough, while I was pretending to be busy with my creations, I ended up with some applique shapes which I like a lot. Yes, one of my pretend sewing was cutting fabric. 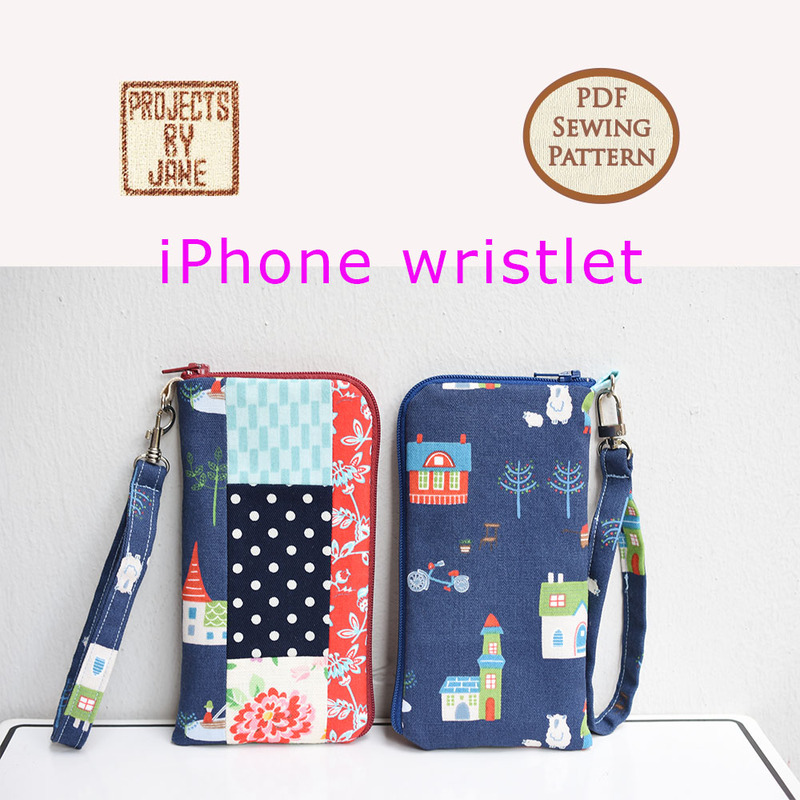 With these applique shapes I decided I would make a few denim zip pouches with my last bit of denim. Here they are, my pretend denim zip pouches. Please forgive the quality of the photos. I was very hungry when I took them and the sun was setting really fast. Big headed flower. I've made a similar one before. I started with the heart and thought it would look so great as an alien looking flower that's surrendering. Oh, I don't want anyone to say to me: So flower-flower. I've never sold here before but it's indoors so no worries about rain, sun or wind. 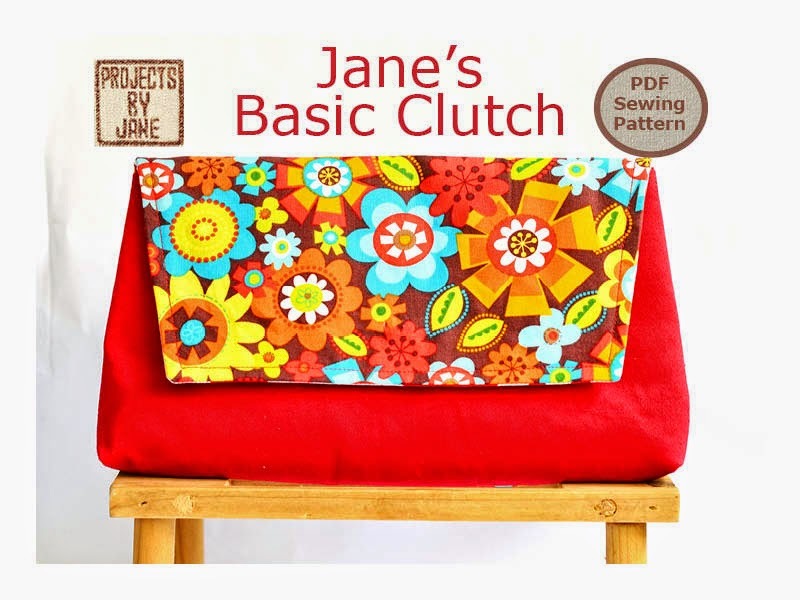 It's a good thing my sewing mojo is back because I just counted my stock and I had a grand total of 4 bags and 2 pouches left after my SAM sale. This is so insane. I have just a few days to increase my stock. See ya. Gotta go sew. In my last post, I introduced you to the Singapore Art Museum. Thought I'll show you some of the exhibitions at the museum. One of the Singapore artists showing his works is Vincent Leow. He is also known for drinking his own pee in a performance of the Artist's Urine. No, I did not watch it. I was lucky. His performance was considered controversial. I think he must have been very thirsty. Personally, no drinking of my own pee unless I'm trapped in a mine shaft on the verge of death. Even then, I would think real hard first. The two images above show a few of Vincent Leow's Tags & Treats. No less disturbing. Below are more disturbing art pieces from the galleries by other water-drinking artists. If I were pregnant now, I would get nightmares from the images above. This one reminds me of the scene from The Matrix movie where all the evil creatures are coming to attack the ship. 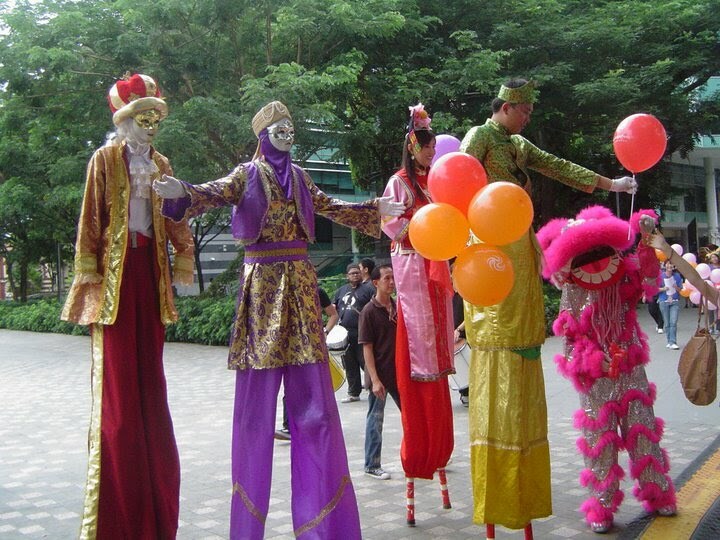 Over the long weekend from Friday to Sunday, Singapore celebrated Heritage - Sparkles In The City. 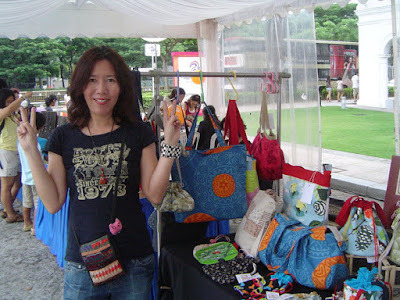 Many events were taking place simultaneously in the city and I was stationed outside the Singapore Art Museum for 3 days to sell my bags. All the craft sellers with me are regular sellers from MAAD. Ok, so how did I do? I sold a total of 15 bags, 15 pouches and 27 hair accessories. I did good, didn't I? This is the Singapore Art Museum. It used to be a Catholic school. My tables were in the middle. Can you see my bags? I stupidly chose a table which faced direct sunlight. This is me on Saturday. I wore my LUCKY roots T Shirt. It worked! I sold the most on Saturday. Thru'out the 3 days, there were percussion performances in regular intervals just a few steps from my tables. The first time was rather exciting. But after 3 days, I became rather irritated and my good ear is still ringing from the plak plak chang chang cling clang tok tok PHIANG. On and on and on and on. Each performance was at least an hour long! Once, the Bhangra dancers (who have their own loud drums) joined in the percussion performance. These dancers are visually stunning and they move from location to location in the Heritage trail performing their "surrender" dance. I never get tired of watching the Bhangra dancers performing their stunts. This is the "I can fly" move. Can you see the guy in purple is swinging his partner by the legs? This is the "throw you over my head" move. The stilt walkers were quieter. Just hobble around and pose for photos. The pink lion tried to annoy my girl. I did not take many photos of my customers. It was too hot, too noisy and I simply forgot. Tiba came to support me. She snagged my canvas crossbody bag. This is her with her family. I'm really happy when customers return. Thank you Tiba. I appreciate your support and encouragement so much. You have no idea. 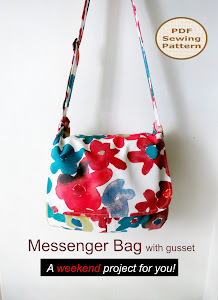 Lilla from Perth is the owner of my linen-cotton tote. Very nice lady. Me sis came to buy a bunch of my pouches too. Thanks sis. Kisses. 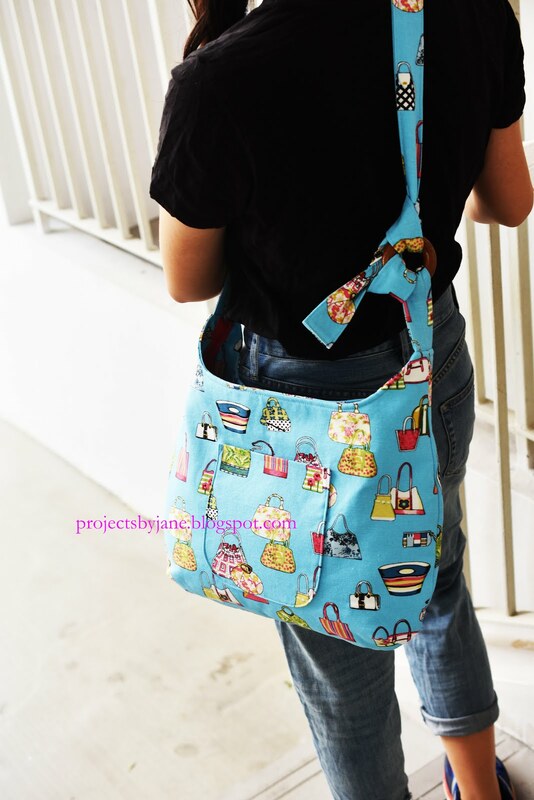 I remembered Len who had bought a nautical bag from me in July at Iluma Arts Market. 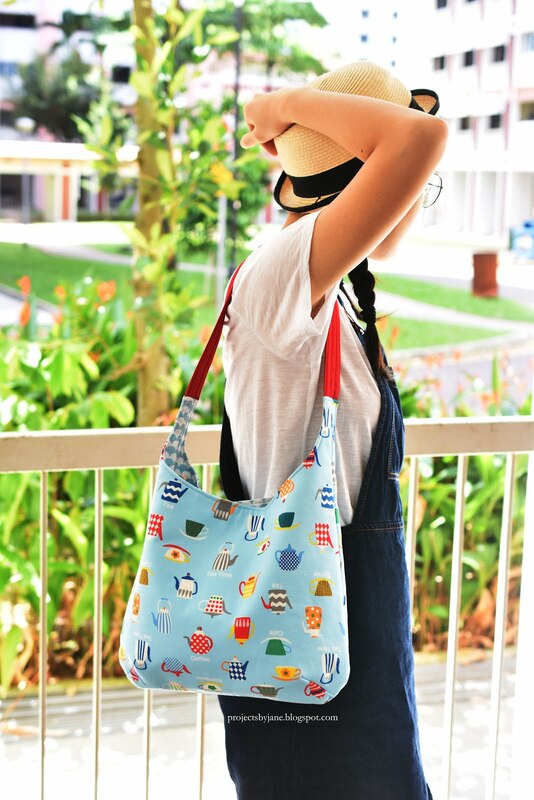 She bought this drawstring pouch. It was a pretty intense 3 days. I was hot and itchy. I was high on antihistamine. I have no idea if I was bitten on the chest or my allergy was triggered. On Sunday, my eyelids and nose and cheeks puffed up. I think I still looked human because no one screamed. I had good and bad taxi drivers. I don't know which is worse. The one who drove like a F1 driver or the one who let off gas mid-way. Anyway, I'm exhausted. 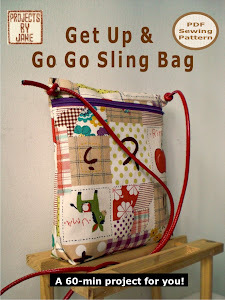 I'm gonna take 1 day break before I start sewing my next batch of bags. My current stock is pitiful. I was almost wiped out!! I really could have spent my Thursday in more productive ways. Instead I spent a few hours counting the total number of bags I have made since I started making bags in 2007. Previously I was too lazy to count but me hubs is such a nagger. 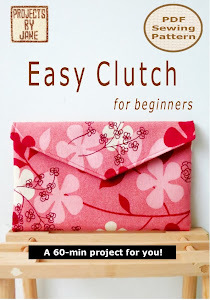 I have made a total of 386 projects! 614 more projects before I hit 1,000. More statistics.... Recently, my blogger friend, Chris H posted some amazing stats about her blog. This woman writes about nothing yet she gets a lot of traffic. I don't know the appeal of Chris H to other readers but I love to read about her day and she does not sanitise anything and that's refreshing. So here are my BRAGGING stats. This is my 223rd post. I wrote my first post on September 25 2007. Currently I have 178 followers on blogger, 116 on facebook. I don't know the stats for my feed. I have had some followers drop out along the way. I'm a tough gal so no, I did not cry. How did my blog come about? 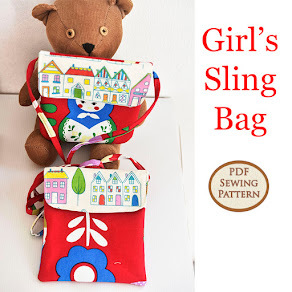 Me hubs saw me scribbling in long hand in my journal the websites I visit for learning how to make bags and introduced blogger to me. The LINK function appealed to me and I was hooked. Me. 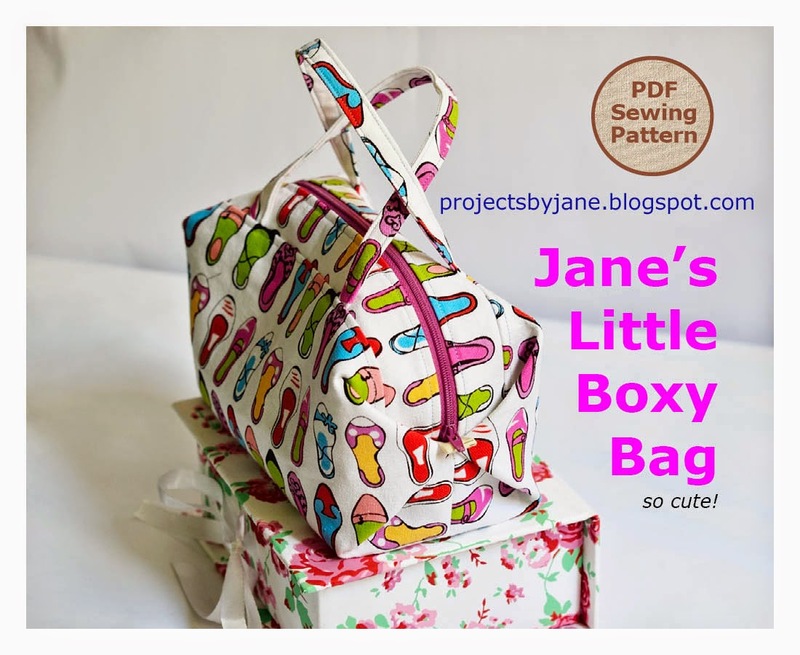 This blog is to record everything I did in my bag-sewing journey. This is why I put in my mistakes as well so I will learn. 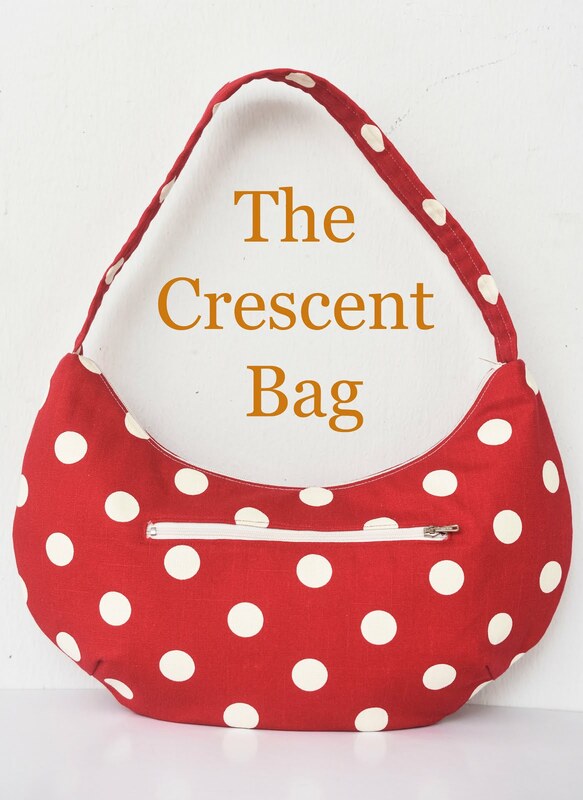 When I discovered with great delight that other folks read my blog, I started to include them, so mostly folks who love to sew bags. The first few comments were from my kids! My son wrote the first comment in my first post and he used my account to do it. I kept the comment because it's so funny. I love to read comments but I don't reply every single one because sometimes I can't think of anything to write. Seems so silly to write, thank you for your comment, rite? That's it for my exciting stats. Last night I managed to make 1 more bag. 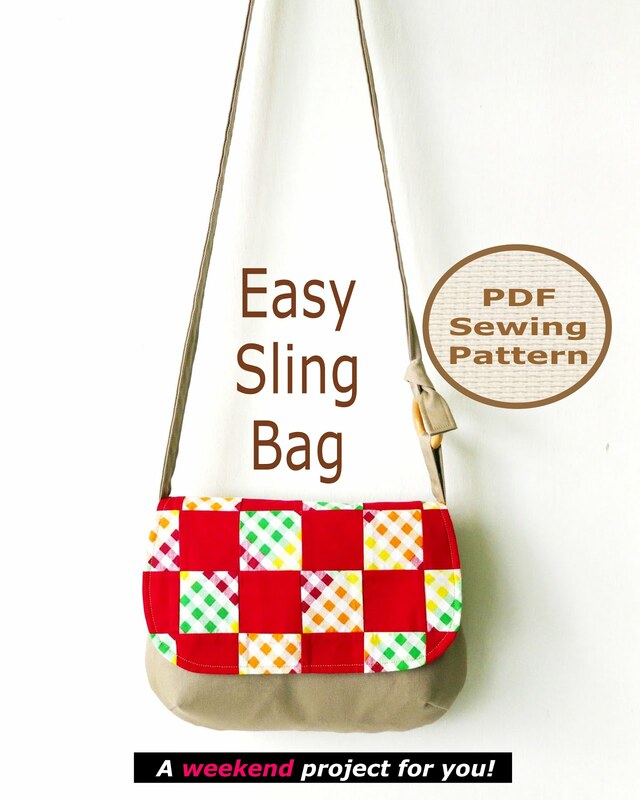 This is yet another crossbody bag. Very simple and functional. 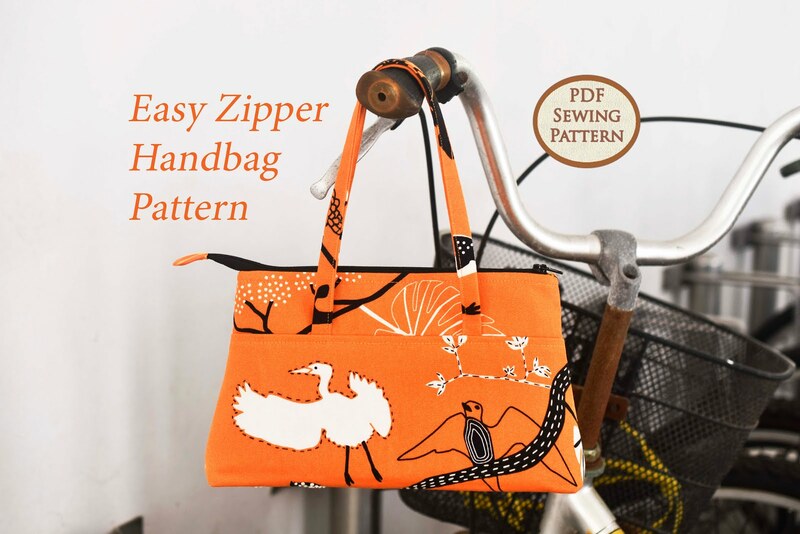 The closure is a magnetic snap which is hidden by the flap. The fabric is a very tough canvas cotton. The hardest part of making this bag was turning the handle inside out. My fingers were really sore this morning. 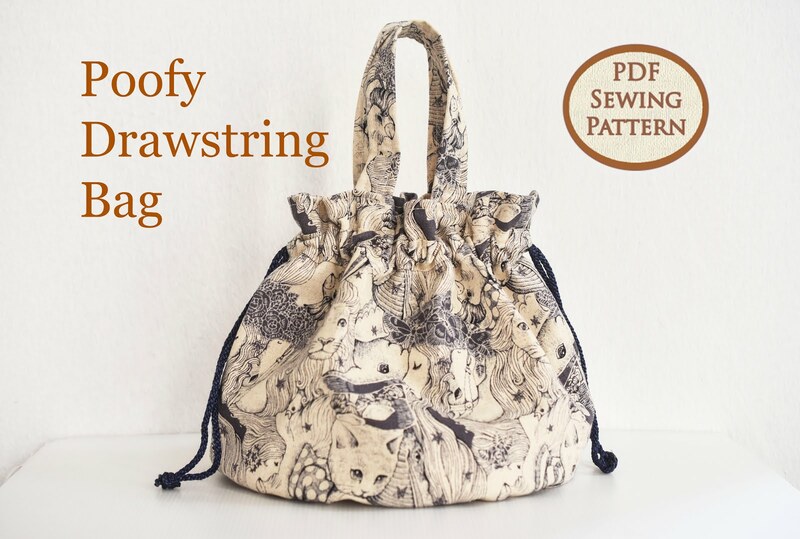 Other than that, it's pretty straight forward sewing. Yes, this bag is included in the project count. The sky was really grey today. You can see from the photos it's really cloudy. I'm still hoping it won't rain the next 3 days. 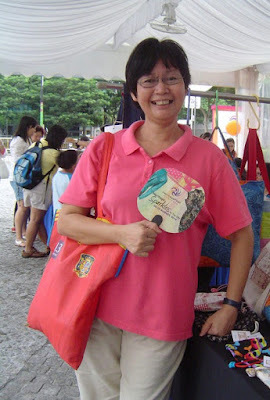 Just a reminder, I'll be selling my bags at Singapore Art Museum for Singapore HeritageFest 2010 - Heritage Sparkles in the City. Details are below. Do drop by if you live in Singapore. Have a great weekend and I'll see you next week. Some time in July, me hubs went to check out the storage items at Ikea's annual sale. I was too busy to go so I asked him to buy a specific fabric for me. You probably think he bought the wrong fabric. Um, worse. He came back empty-handed as "the entire textile department at Ikea had disappeared! Ikea has shut down the fabric section." I simply could not believe it. On the last day of the sale, I made a trip to Ikea personally to see for myself. Nope. The entire textile department at Ikea is still where it has always been. The difference between most men and women? Men sees empty space when women sees fabric. Anyway, I bought this very striking Ikea blue and orange fabric. It wasn't on sale but it looked so festive I had to get it. Made 2 big bags and 1 pouch out of it! It's been a while since I made anything big and I'd gone rusty. 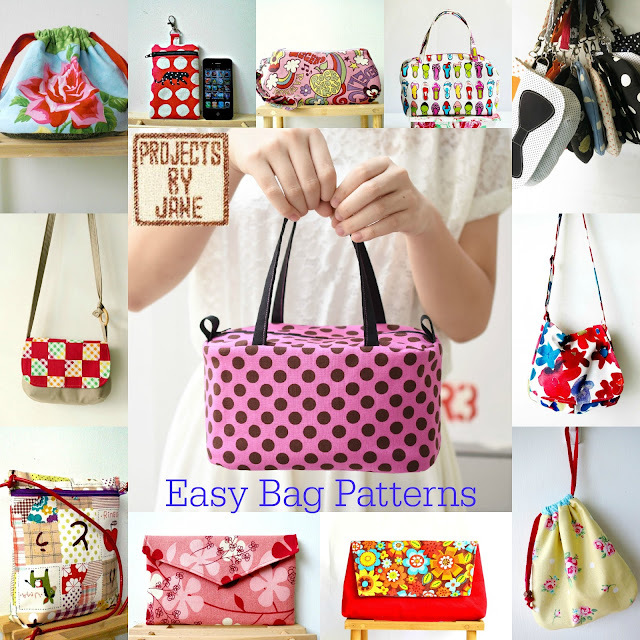 Each bag took many hours to make. I wonder how I managed to work so fast in the past? I'll be honest with you. I really enjoy making smaller items now. But I have a 3-day craft market sale coming up and I wanted to have a few bigger items to sell. 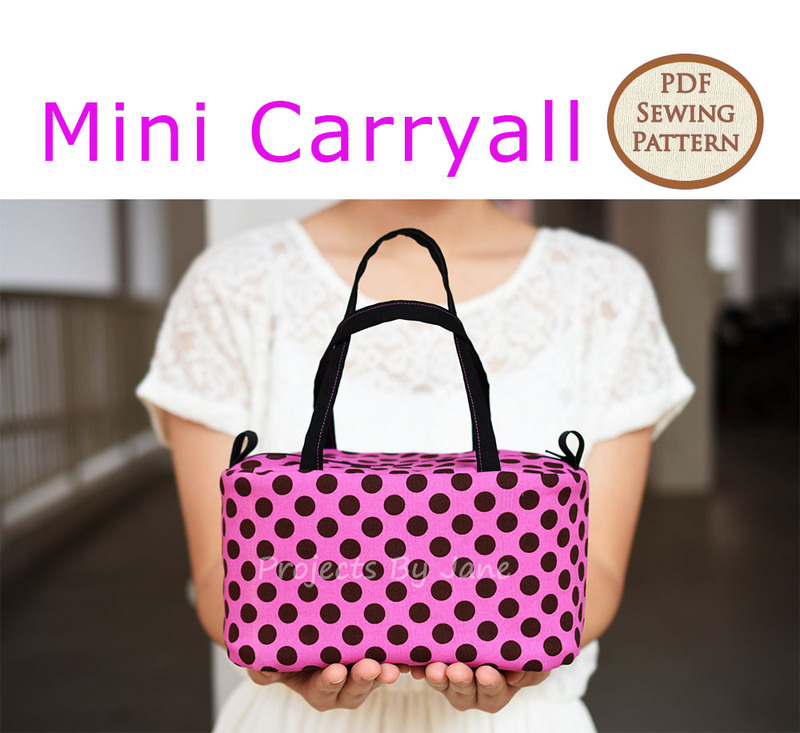 This is a very simple and functional recessed zip tote. I love making my pleated zip shoulder bags! I had the perfect carrot fabric for the lining! Of course I had to make a zip pouch. There's only a little bit of the fabric left but I doubt if I could make anything out of it. I made more hair elastics and had lots of fun choosing the perfect remnant. I really like the black and white ones. I'm a little concerned that the rainy season is not over yet. Just half an hour ago, it was thunderstorming like crazy. See, from 20th to 22 August, Friday to Saturday, I'll be selling my bags at the Singapore Art Museum as part of Singapore HeritageFest 2010. I'm going with the MAAD gang. As the event is held outdoors, outside the main entrance, it is understandable why I'm very concerned. Apart from rain, I'm worried about flood, where to get food, tea, mosquitoes just to name a few. This is the first time I'm selling 3 straight days. This means I have 3 days to sell all my items. If traffic is bad, it could mean 3 days of suffering. Whatever. Details are below. The Youth Olympic Games(YOG) has started and yes, Singapore is hosting it. It's from 14 to 26 August. I'll bet most of you guys have not even heard of Youth Olympic Games. I caught a bit of the opening ceremony on TV but I'm not the kind of person who enjoys ceremonies. My girl was riveted to the screen but she was more into giving a commentary of the ceremony. I almost went crazy listening to her. Friday was rather more exciting as the Olympic torch went past where I live. Me hubs tracked the torch relay thru' the internet and when it came to where we lived, we went to watch it. The guy in red is carrying the Olympic flame. Me hubs and I tried to chase the flame but we gave up after 100m because he was wearing a long sleeved shirt while I had no make-up on. Okay, it was just very hot. Still, that short 100m chase brought a little excitement to our boring lives. I'm now officially out of my Michael Miller's Chinese kids fabric because I managed to make another bag out of the last rectangular fabric remnant. Remember my money bag? I made another one. I'm a little shocked it took me 1 whole day to make this little bag. My way of making the money bag is just too hard. I should seriously consider using bias binding to conceal the raw edges. You can't tell from the image but the cheery red I used for the handle? I chose to use the "wrong" side as the right side. The "right" side is a little too shiny for my taste. 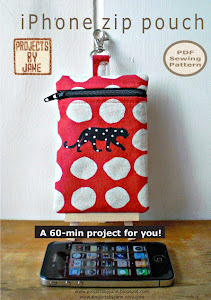 This is a change purse I made last week. I have a friend, Periwinkle Su who hand stitches everything! Absolutely no sewing machine. 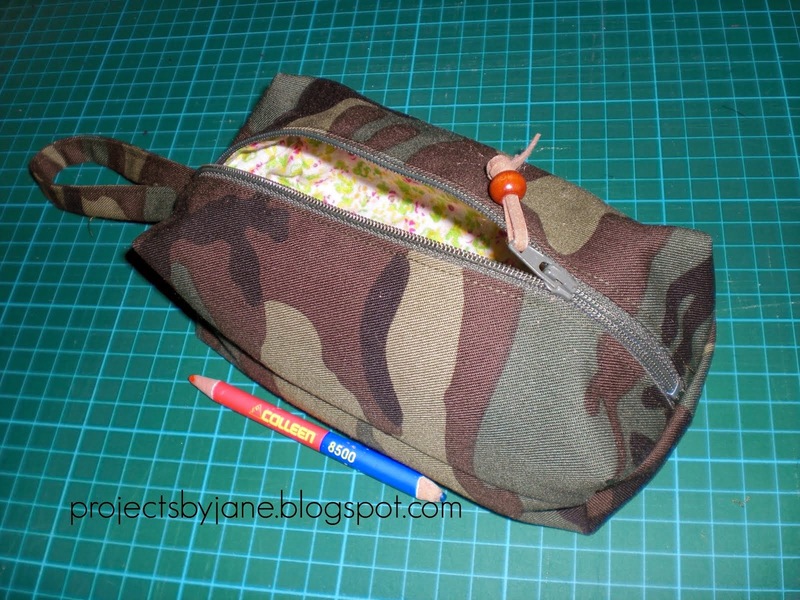 I've often wondered how different a handsewn pouch would turn out. 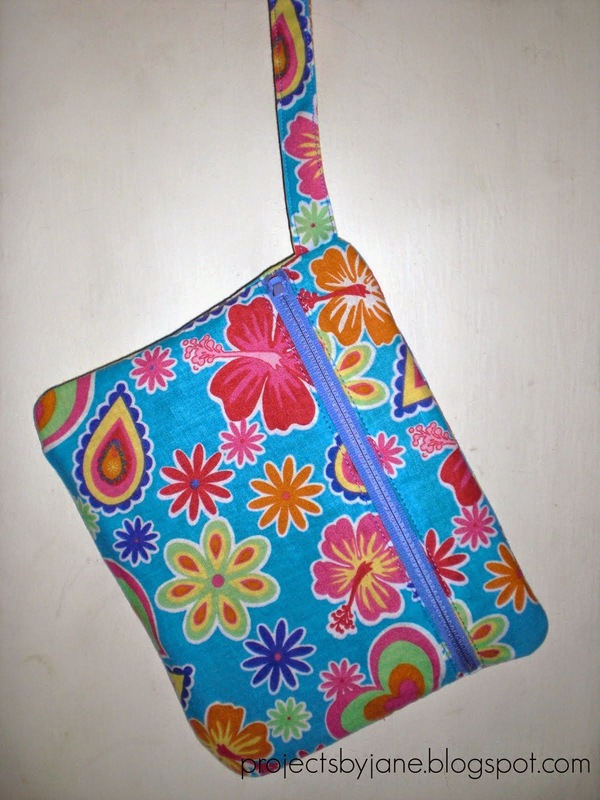 So for this change purse, I hand sewed the lining. 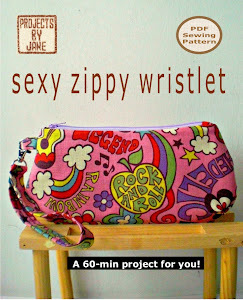 I thought about hand sewing the entire pouch but I worried the zipper would just come loose easily. Anyway, handsewing the lining doesn't result in a better zip pouch so I'm sticking to my sewing machines. 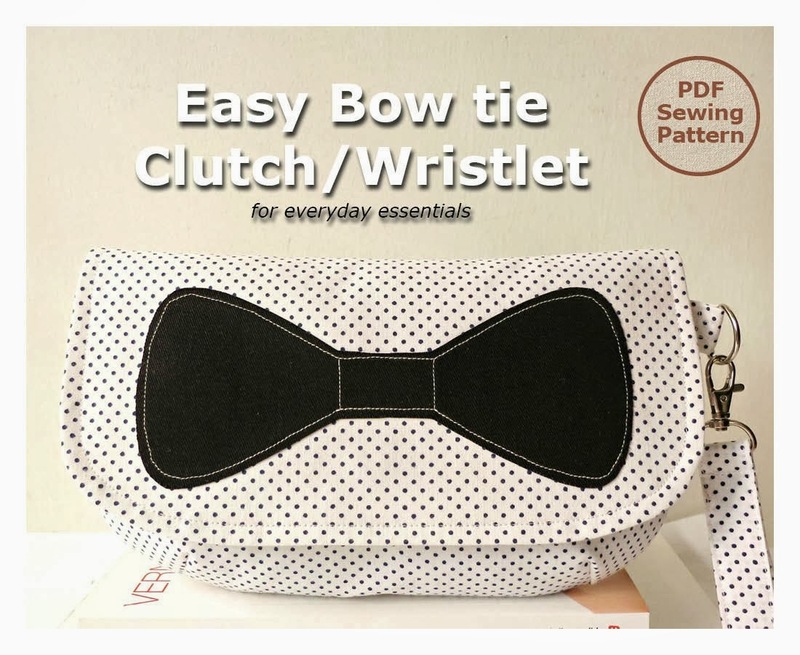 I've listed this pouch at Etsy. 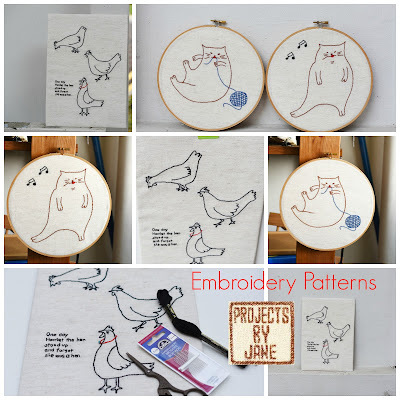 Check it out if you're into linen cotton pseudo cross-stitch fabric. Just wondering. Does anyone watch Project Runway USA 8? I'm a big, big fan. I watch PR Canada and Australia too. Have to say without Heidi and Tim Gunn, it just isn't the same. But Canada's Iman saying "I'm sori you just don't measure up!" is hilarious. Today I watched episode 3 of PR USA 8 and I'm starting to be able to tell the faces apart to the point where I'm beginning to have favourites and faces I hate. Oh, I love Valerie because she is so cute! I'm on the fence with Gretchen but I know the editors are gonna make me hate her. What I don't like is how they keep the really horrible designers over better ones just because they make good TV. If you cry easily, they will keep you. If you are a drama queen, they will keep you. If you don't say much, it's Auf Wiedersehen. Oddly, every season, there's bound to be a contestant whose designs look like they learnt sewing from someone very old. So all their outfits turn out looking suitable for the age group 70 to 100. Think Casanova. It's still too early to tell, but I'm thinking the weird lonely one, Mondo will make it to the final. Plus surely enough good TV has been squeezed out of Casanova. It's hard to look at him because he has very unattractive facial hair. Most men can't tell one bag from another. Majority of my readers would agree with that I'm pretty sure. 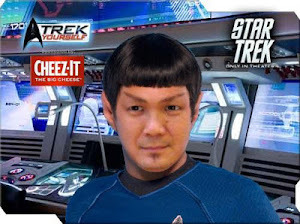 But I thought me hubs was different. I mean this is a guy who owns a pair of green jeans! And has jeans in every shade of black, grey, blue, indigo, ripped, unripped, textured, shiny. Plus thousands of t-shirts. Okay, I exaggerate. Maybe, hundreds. And more hoodies than I have fingers and toes and more rain jackets than ... You get the picture. Yesterday I despatched 4 Michael Miller's Chinese Kids Pouches thru' him to Sylvia Toh for her to pick one. This morning he told me 3 were sold to 3 persons but he had no idea who bought what as the pouches LOOK ALIKE! 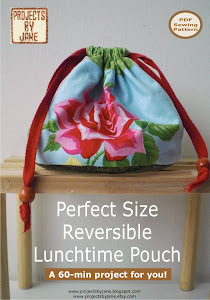 This one's a flat bottomed drawstring pouch. 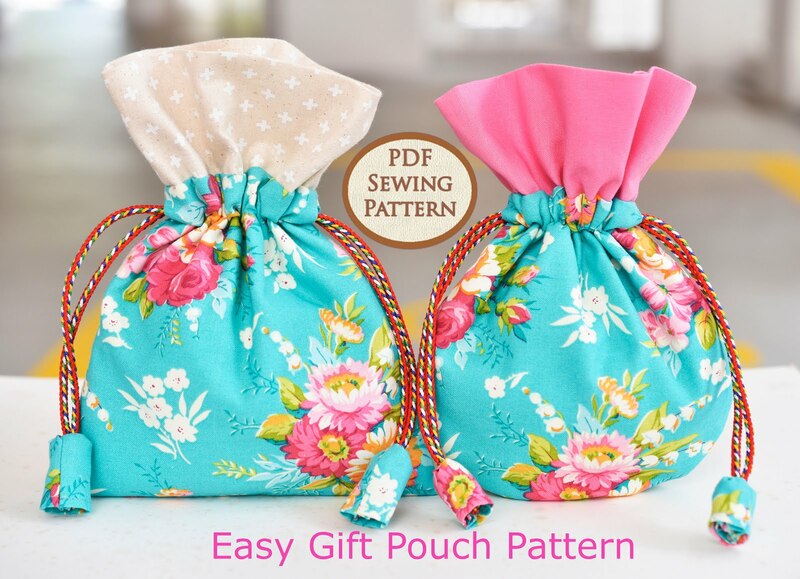 This is a poufy fat bottomed drawstring pouch. This one's a zippy pouch. 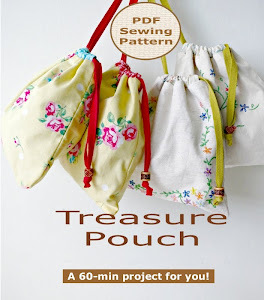 This is another drawstring pouch with round bottom. This one didn't sell so I'm gonna sell it at my next craft market sale. 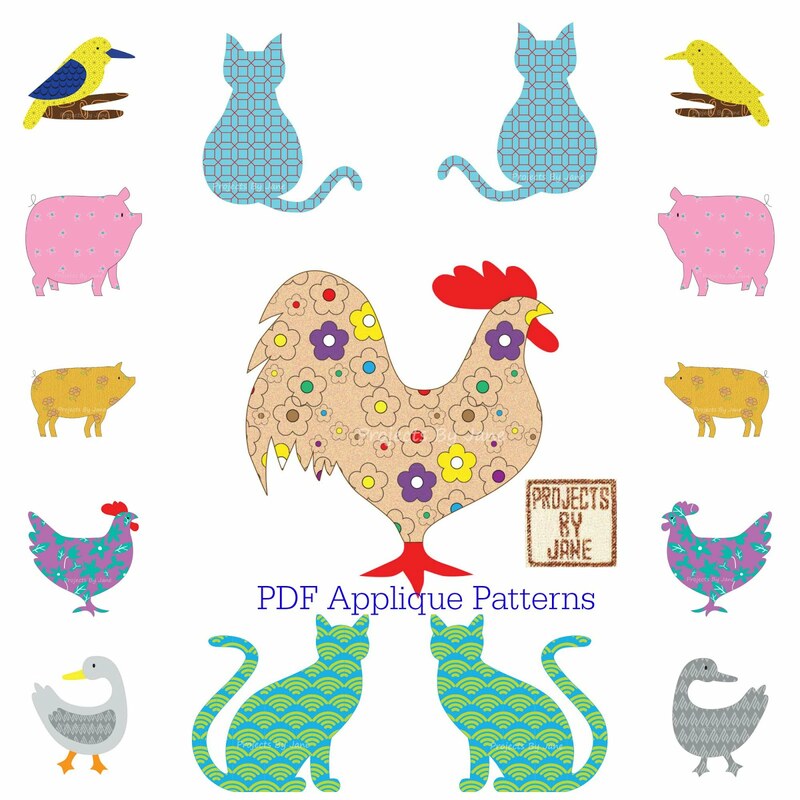 I have just about used up all my Chinese kids fabric save for a smallish rectangle. Let's see if I can squeeze 1 more bag out of it! I thought it was a terrible waste of the unusable scraps and I used them to make fabric covered button hair elastics! The parts needed to make these little hair elastics cost too much to make it worthwhile to sell them! I managed to get 2 faces on the buttons but I think they look a little creepy. See you soon.